A total of 1,652 incidents, a 16 percent increase on 2017, were logged in 2018 by the Community Security Trust (CST), which has monitored anti-Semitism for 35 years and provides security to the UK Jewish community. Three years of rising anti-Semitic incidents shows the scale of the problem facing the Jewish community. This is happening across society and across the country and it reflects deepening divides in our country and our politics. The CST defines an anti-Semitic incident as any malicious act aimed at Jewish people, organisations or property, which shows evidence of antisemitic motivation, language or targeting. But Jewish people are also being targeted on social media, with 384 recorded incidents – up 23 percent. However, the problem is likely to be worse because the CST only collated cases where the offender was based in the UK. Mr. Corbyn, the socialist MP for Islington North, and his fellow left-wing Labour members have been engulfed in claims of anti-Semitism for the past three years. As far back as 2016 Mr. Corbyn appointed human rights activist Shami Chakrabarti to investigate and defuse allegations of institutionalised anti-Semitism in the party. 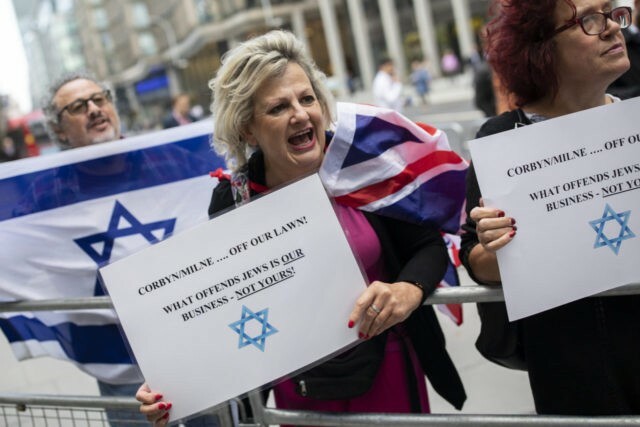 Recent polls reveal that British Jews are fleeing the Labour Party in droves, with the Antisemitism Barometer finding last year that four in five Jews believe that the party harbours anti-Semites in its ranks. “The Jewish community should not have to tolerate these attacks and we are doing all we can to rid society of these poisonous views,” he added.